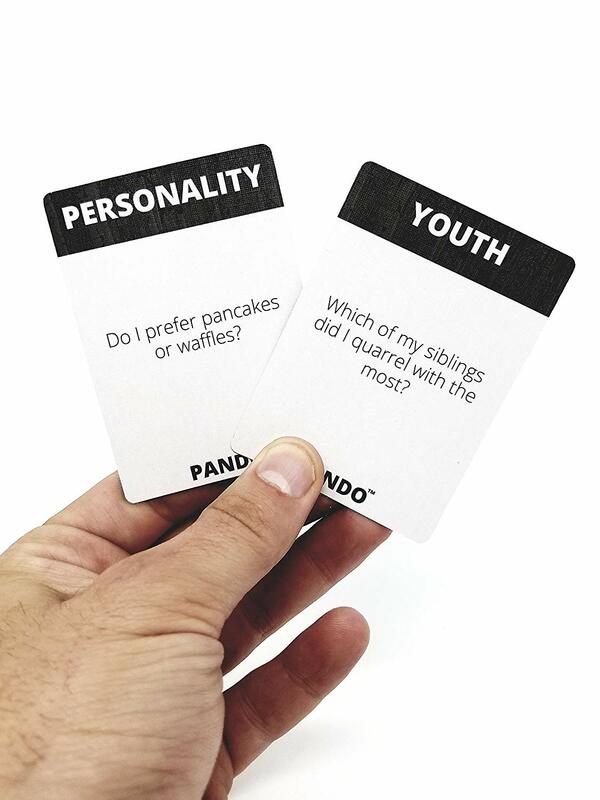 Battle your siblings to see who knows the most about Mom and Dad’s past. Mom and Dad ask the questions, siblings race to answer and earn points. 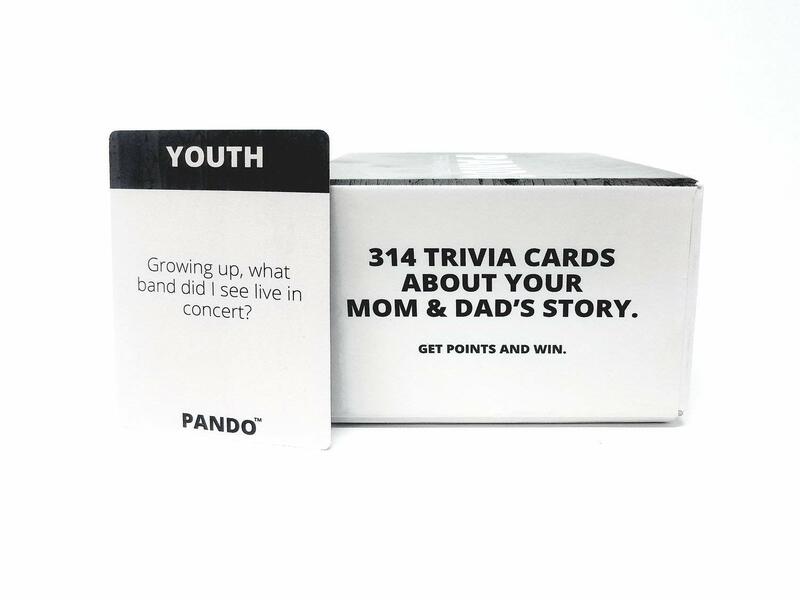 PANDO is a living room game built for grown siblings and their parents. However, we’ve found that young children and grandchildren love to participate as well. Sit ‘n play. No paper. No pads. No pencils. PANDO was designed to be played during medium to large family gatherings. It will almost certainly be one of your families favorite family games to play during holidays, birthdays, reunions, table topics, or spaghetti night. EXAMPLE CARD PLAY: Step One: Mom draws a card and reads aloud, “What is the first movie I ever saw in a theater?” Step Two: Billy raises his hand and says, “Star Wars Episode IV!! !” Jane raises her hand and says, “Annie Hall!” Step Three: Mom says, “Nope, it was Saturday Night Fever! I still remember spilling my soda on your father’s lap!” Step Four: Switch parents and repeat steps 1-3. TO WIN: First sibling to 5 points wins the round. Play as many rounds as you wish. 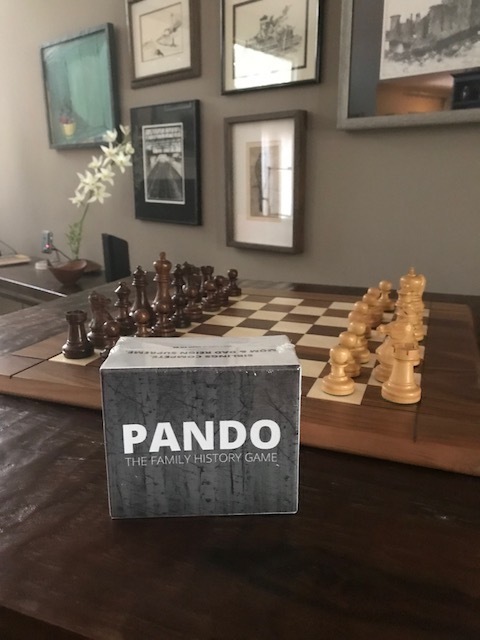 PANDO is the world’s first dedicated family history game. It was born on Kickstarter in November of 2017 when it shipped to players in every corner of the US. It is the most meaningful family game on planet earth.